Just when we think we are coping pretty well with our illness, we hit a speed bump. Karen explains. “When times are good, be happy; but when times are bad, consider: God has made the one as well as the other. Therefore, a man cannot discover anything about his future” (Ecclesiastes 7:14). It can take a long time to reach the place in our lives where we accept that we are chronically ill. I have been working on it for over 20 years. I’ve found that place of acceptance and I’m okay with traveling down this road in my life. However, this road often surprises me with speed bumps that I never saw coming. 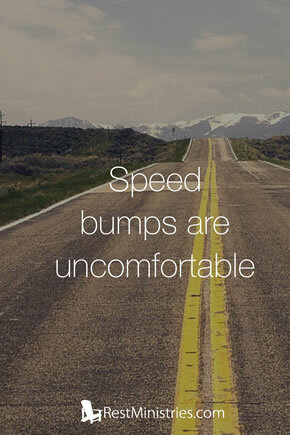 Speedbumps are uncomfortable. They jostle you no matter how slow you pass over them. I can be cruising down life’s road at a pretty good pace when the anger, the disappointment, and the self-pity jolt me like a speed bump! I’ve committed to not let these speed bumps get the best of me. I have to ask God to help me get rid of the negative feelings. After all, I know they are wasted energy. They do nothing to change my situation. God has a plan for each of us. He has things for us to accomplish. When we hit a speed bump, we have to get back to the task at hand–living each day in a way that serves Him. The teaching is clear in Ecclesiastes: God gives us good and bad times. Hitting a speed bump is uncomfortable, but we must drive over it and keep going! 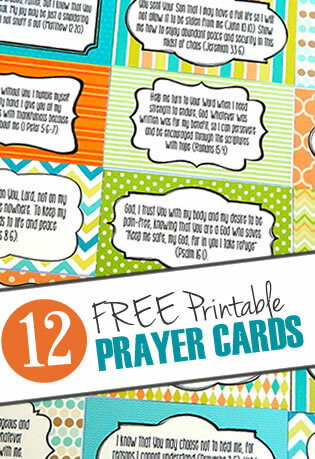 Prayer: When I get discouraged, help me to receive your strength. Help me to get back on my feet and steady again. Amen. Have you hit a speed bump recently? If so, how did you handle it? Karen, I’m so glad I read this tonight. You’ve given me some affirmation and reminded me that I’m not alone. I can surely identify with this quote. I’ve been wrestling with whether or not I can find a way to visit my son and his family in Mexico for a special occasion in a few weeks. One of my biggest barriers is the cost. So I’m tempted to say, “If only I’d have been able to work all those years I’d have enough savings to do this.” I’ve never been there in the 10 years they’ve been living there as missionaries and it would mean so much to all of us if I could go. But God does know what’s best and I’m sure He’ll give me the grace to accept His will in this. I’m so sorry Beth, I know you must want to go see your missionary kids so badly! I pray God would give you peace about whatever decision is right.